You shouldn't take a chance by hiring an unknown asphalt and pavement contractor for your next paving project. 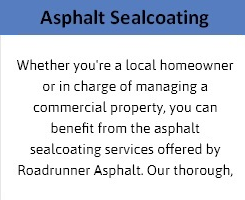 At Roadrunner Asphalt, we've been providing professional service to satisfied customers for over 10 years. No matter how large or involved your next residential or commercial pavement job may be, we'll provide you with excellent service from beginning to end. Our service area includes Albuquerque and surrounding communities. 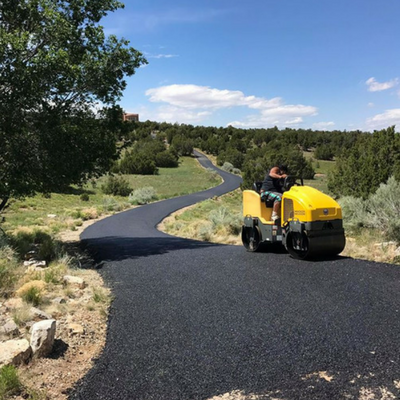 With a trustworthy asphalt and pavement contractor in your corner, you can soon enjoy the benefits of smooth, attractive surfaces at your home or business. 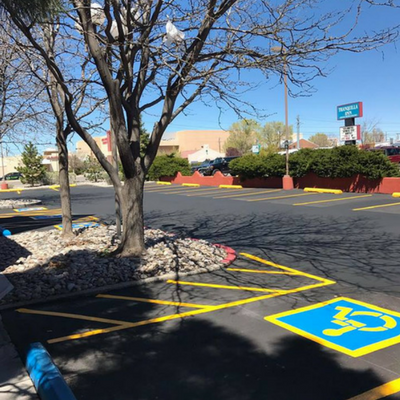 Roadrunner Asphalt in Albuquerque, NM, is the name you can rely on for all your concrete and asphalt work. To request an estimate, call us today. 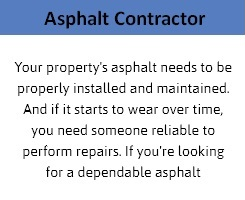 Your property's asphalt needs to be properly installed and maintained. And if it starts to wear over time, you need someone reliable to perform repairs. 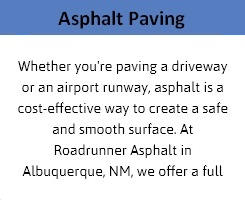 If you're looking for a dependable asphalt contractor in Albuquerque, NM, count on Roadrunner Asphalt. We're at your service and ready to show you what sets us apart as a team you can trust. 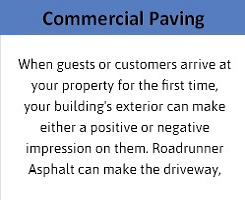 If you need an asphalt contractor, turn to Roadrunner Asphalt for the excellent service you deserve. Call now for more information or to schedule an estimate. When guests or customers arrive at your property for the first time, your building's exterior can make either a positive or negative impression on them. Roadrunner Asphalt can make the driveway, walkway, and parking lot of your business give off a polished appearance. Our commercial concrete contractors have the necessary equipment and knowledge to get the job done right no matter how big or small it is. We serve Albuquerque and surrounding areas. We're known for going above and beyond customer expectations. When you turn to us for your concrete needs, we're confident that you'll be impressed by our ability to complete your project in a timely, cost-effective manner. Next time you're considering getting pavement work completed at your business, it's vital to find a commercial concrete contractor you can trust.